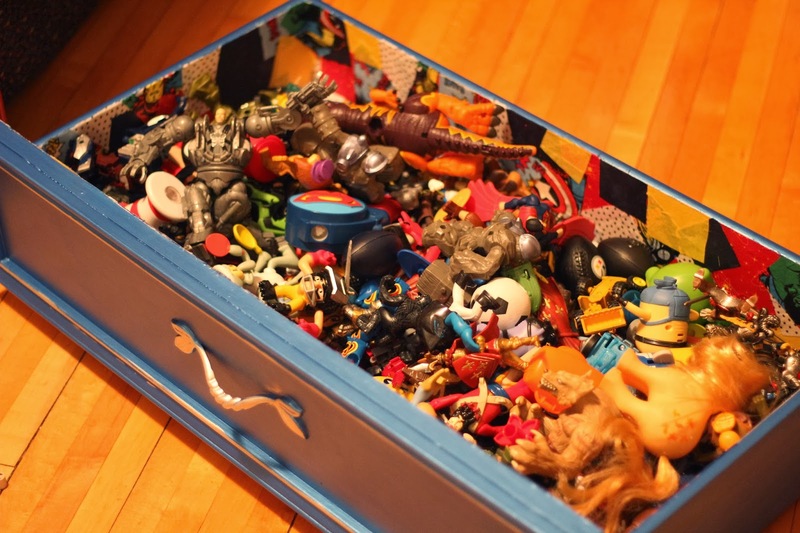 Women on a Mission: Mom Edition: UNDER BED DRAWER STORAGE! 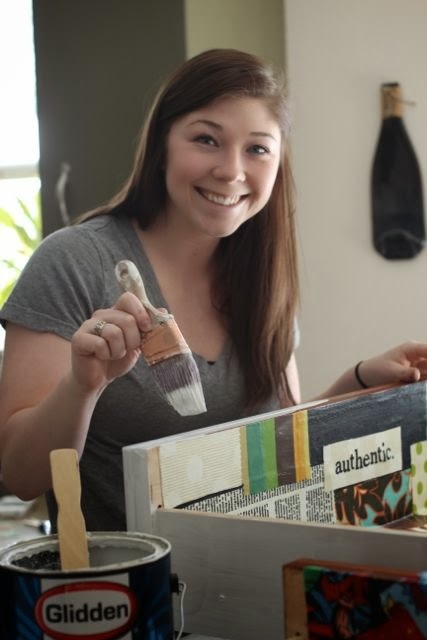 I am thrilled to post about this project...honestly one of my all-time faves! And this project cost me under $3.00! WOW! 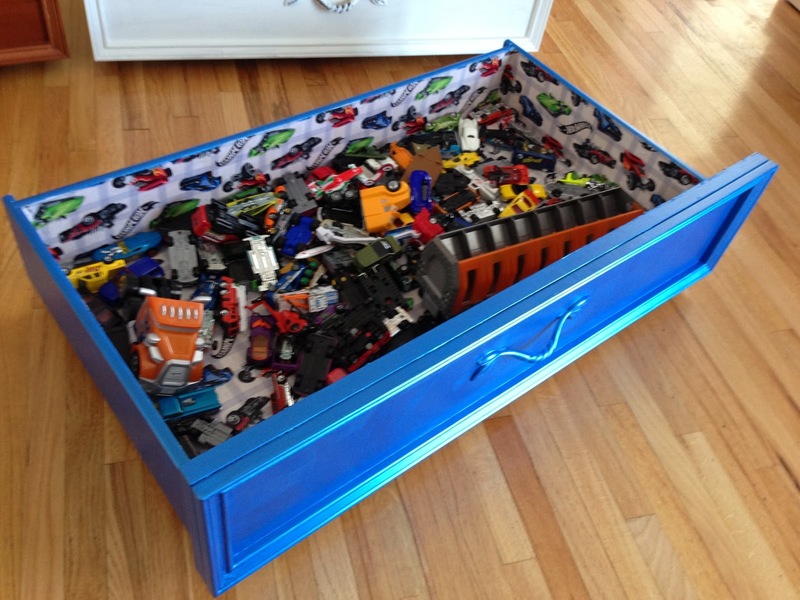 My goal is to get storage under Mur-Man's bed and eliminate some of the room clutter. First up, I was on the look-out for FREE DRAWERS! I found them at a hotel that was updating their furniture. They had the old dressers outside--I simply called them and they were free! My girlfriends and WOM-MOM followers Holly and Steph decided to have a Modge Podge party to cover the interior of the drawers. Holly opted to use full sheets of fabric. 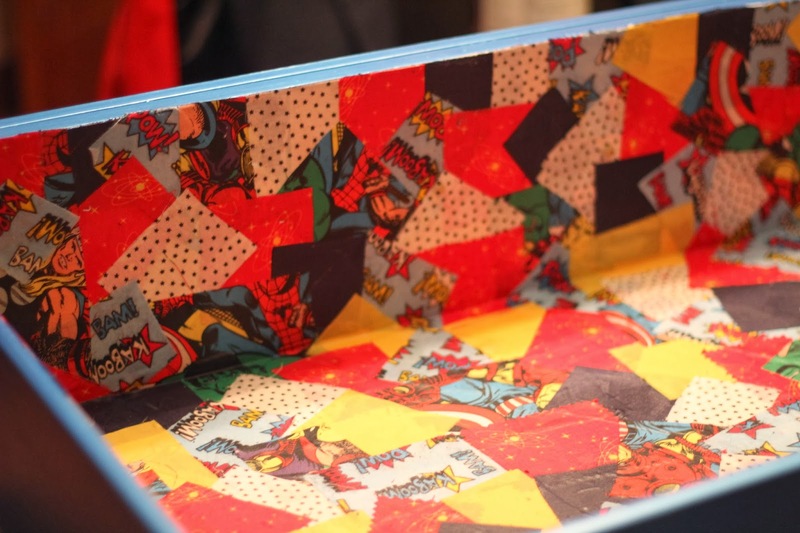 Steph and I opted to cut fabric into squares to cover the drawer interior. 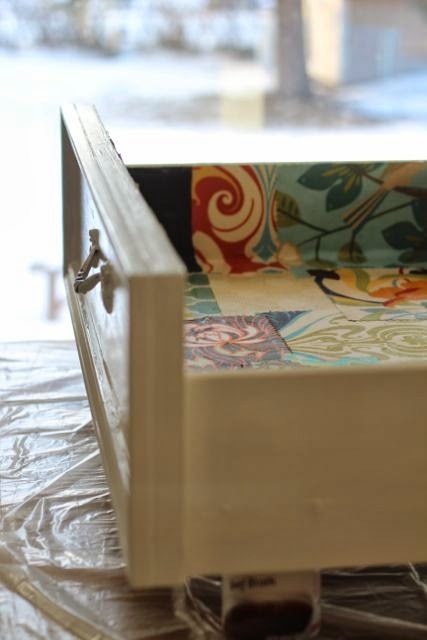 For my drawers, I used scrap fabric I already had and Modge Podge/sponge brushes I already had. 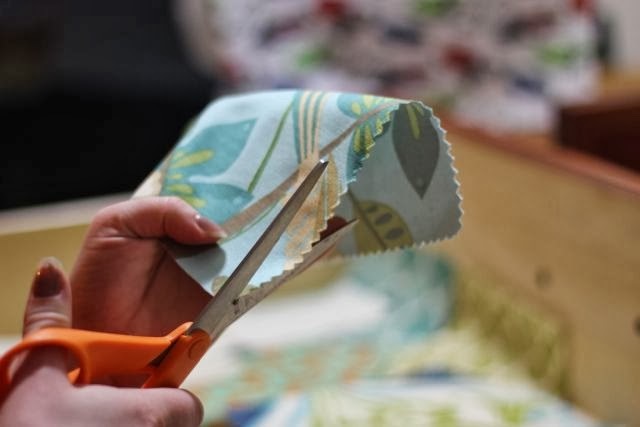 To apply Modge Podge, using a sponge brush you simply apply it under the fabric, press it down (smooth out any wrinkles), and then apply Modge Podge on top of the fabric. 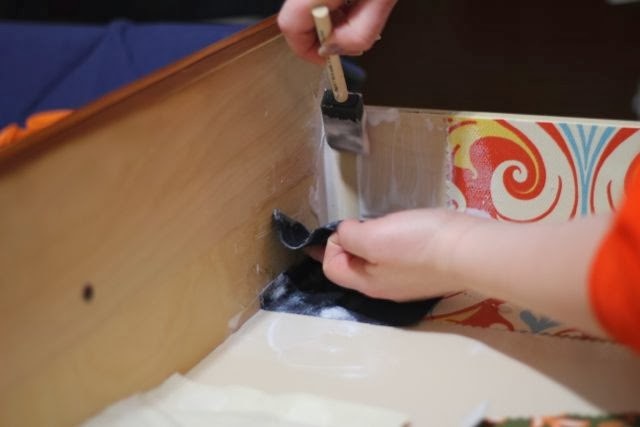 Once the interior of the drawer is completely covered, you will want to ensure that all areas are smooth and have Modge Podge covering them. Once the drawers were dry, we attached the wheels using stainless steel screws. I was lucky to pick-up the castor wheels at IKEA for ONLY $2.99/pack! 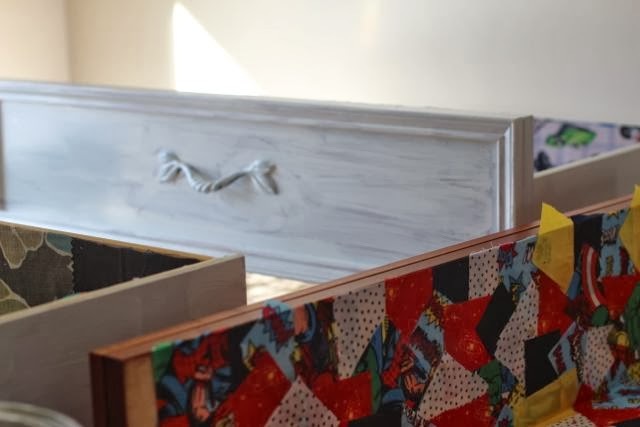 Now it was time to paint the drawers. We first used primer (which I already had in my paint stash). Once completely dry, we added our paint color. 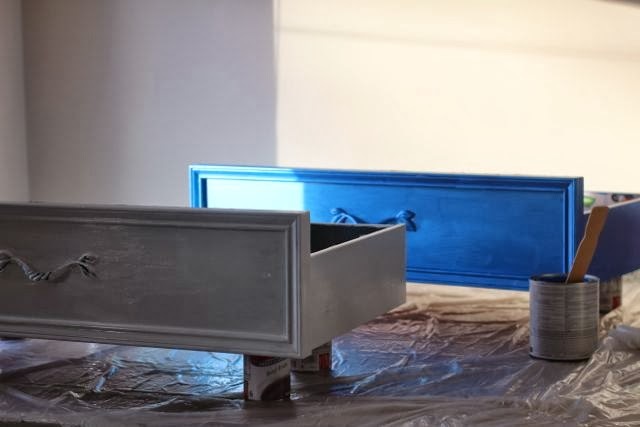 Holly had purchased a metallic blue paint that I LOVED! I used it too--thank you Holly! I ended up using three coats of the blue paint--I did use a sponge brush for the final coat to eliminate any brush strokes. 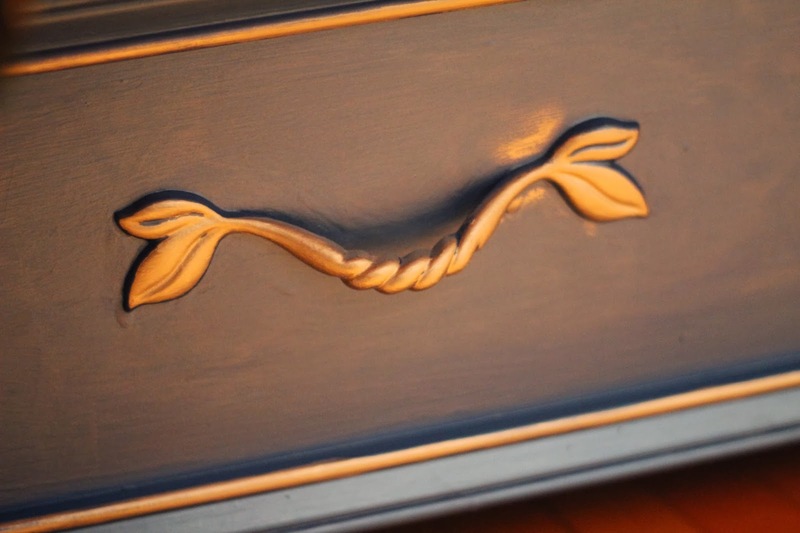 I also decided to use silver Rub 'N Buff on the handle and the drawer trim. 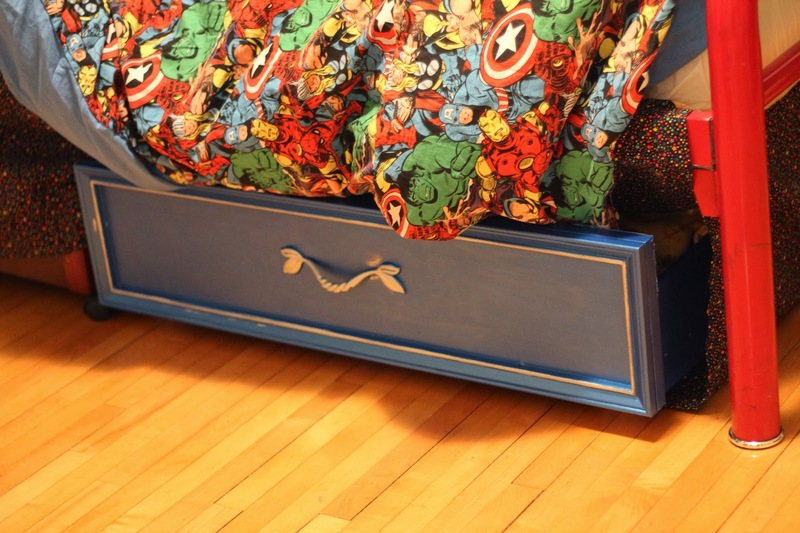 It fits perfectly under Mur-Man's bed. 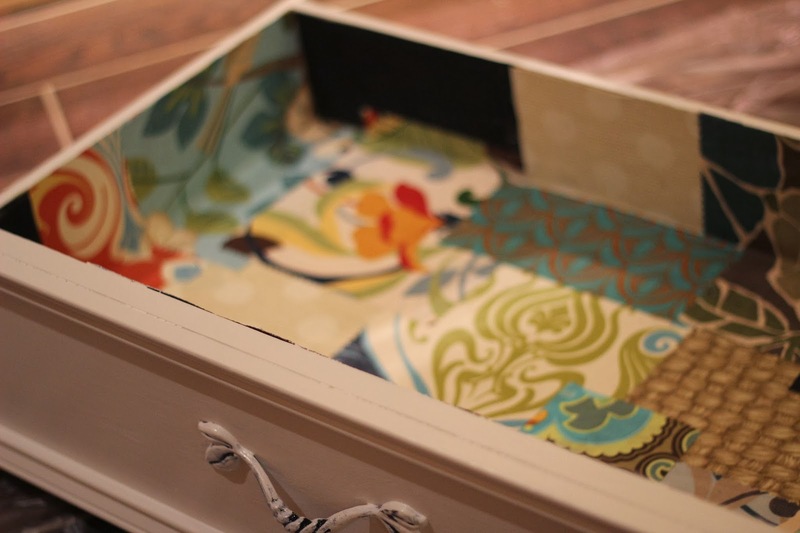 I am ready to create more drawers and eliminate more CLUTTER! 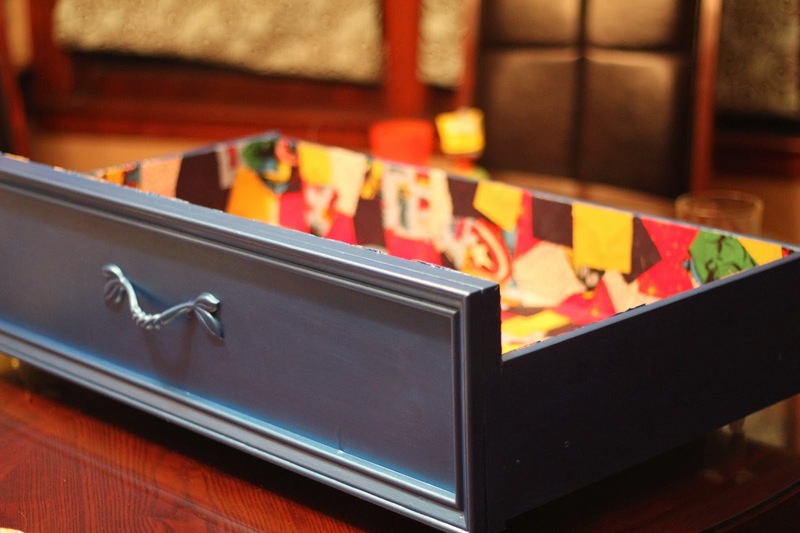 Here's Steph's drawer! LOVE IT! 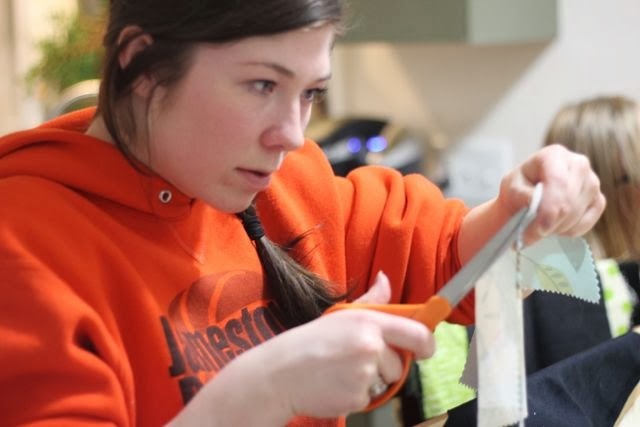 A few things we recommend from doing the project--take the handles off prior to the Modge Podge. We forgot and then were stuck with the handles! Thank goodness they were not too ugly. 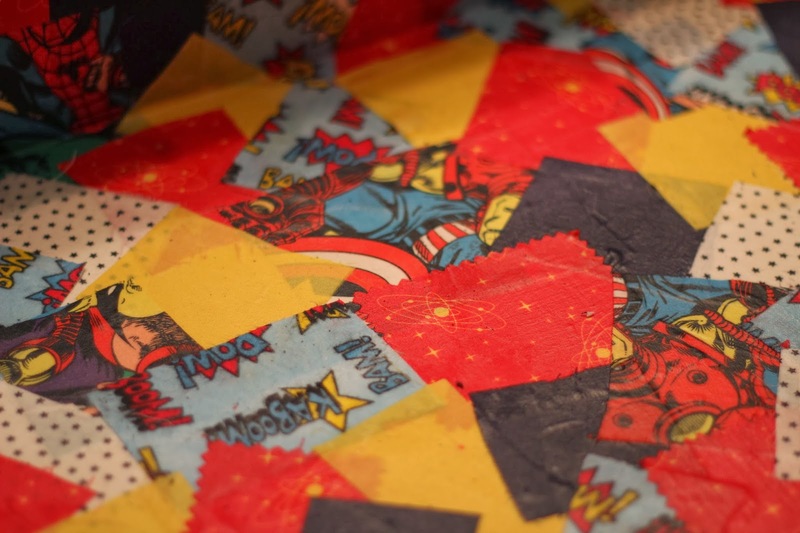 Also, using smaller pieces of fabric was easier. This makes it easier to attach the Modge Podge without wrinkles.